A lot of readers sent in questions regarding Club Carlson’s recent unannounced devaluation of its option to convert Gold Points into airline miles with its various partners, so for today’s Maximize Monday post, I thought I’d outline the conversion rates of hotel points to airline miles for the major chains as well as some better redemption options for your points. 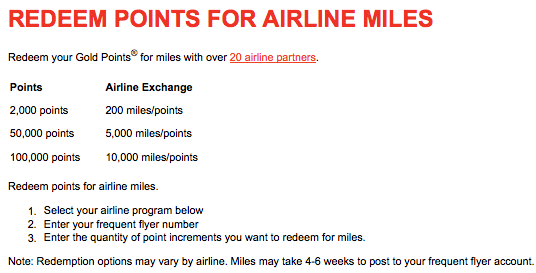 Although it might be tempting to transfer points to miles, it’s rarely a good value. In general, converting hotel points to airline miles is not a great value proposition since the transfer ratios are usually abysmal. While it’s true that you usually earn multiple points per dollar with hotel chains so you can rack up points quickly – sometimes quicker than airline miles – you lose a ton of that value when the conversion ratio is, say 10 points to 1 miles. Not only that, but the process of converting points to miles tends to be byzantine, with different conversion rates with different partners, and sometimes long processing times that can leave your miles in limbo for weeks. When all is said and done, you can almost always get more value from your hotel points by using them for hotel redemptions of various kinds (depending on the chain, which I’ll outline below with examples for each one) instead of miles. I’d only really suggest doing this if you’ve got a few thousand orphaned hotel points and don’t know what to do with them or know for sure that you will not stay at the chain where you can use them. Otherwise, it might be a good idea to get a credit card that earns points that you can transfer into your hotel accounts to top them up for specific awards. After all, Chase Ultimate Rewards (which you earn on cards like the Chase Sapphire Preferred Card, Ink Bold and Ink Plus) now transfer to Hyatt, Marriott, Ritz-Carlton and Priority Club/IHG; and American Express Membership Rewards (which you earn on cards like the Premier Rewards Gold Card from American Express, Business Gold, Platinum and The Business Platinum® Card from American Express) transfer to Hilton, Best Western and Choice Privileges. So there are lots of options for your points. In the meantime, to learn more about converting points to miles and what other options you have, take a look at my breakdown by chain including normal points-earning rates, conversion rates and redemption examples. Before I get started chain by chain, you’ll see I included a spending scenario in each where you could see what you could get by spending $5,000 with each chain. For a quick comparison, here’s a look at how many miles you’ll end up with at that spend amount just at base level earning (ie no elite status or credit card spending bonuses). And here is a chain by chain comparison of how many miles your points get you and how you can spend them better! As I mentioned above, Club Carlson devalued the transfer ratio of its points to airline miles (one way of redeeming them) from a ratio of between 5-8 to 1, to 10:1. The former transfer ratios were: 2,000 points : 250 miles 50,000 points : 8,000 miles 100,000 points : 18,000 miles The new transfer ratios are a flat-out 10 to 1: From a ratio of 5.6 to 1 to a ratio of 10 to 1 is a pretty huge shift and I’m disappointed in Club Carlson for not giving members any advance notice on this, but it just goes to show that nothing is sure in the world of points and miles and if you see a redemption that’s a good value for you, you should take it – including the half-off awards that I highlight below. Base earning rate: Club Carlson members earn 20 Gold Points per dollar spent on hotel nights and meals and beverages charged to your room. In addition, if you have any of the Club Carlson credit cards from US Bank, like the Club Carlson Premier Visa that I carry, you earn an additional 10 points per dollar at Carlson bringing the total to 30 points per $1. If you are a Silver elite, you get a 25% bonus on earned points (so 25 points per $1); if you are Gold you get a 50% bonus on earned points (so 30 points per $1); and if you are Concierge level, you get a 75% bonus (so 35 points per $1). Transfer ratios: 10 points to 1 mile. You can transfer in increments of 2,000 points. Spending scenario: So let’s say you were a regular Club Carlson member and spent $5,000 at Carlson properties. That would give you 100,000 points at the earning ratio of 20 points per dollar. That’s enough for two nights at a top-tier Category 7 property like the Radisson Blu Champs Elysees in Paris where room rates regularly run over 300 EUR per night – this night is 310 EUR ($398). So those 100,000 points you’ve earned are worth nearly $800. By contrast, if you were to convert those points into miles, you’d end up with only 10,000 miles – not even enough for a one-way domestic economy award ticket! Granted, that is enough for a short-haul roundtrip economy British Airways award (which would be 9,000 Avios) and you can redeem those for expensive flights like on the New York-Montreal route, or intra-European routes, but you’d be hard-pressed to squeeze $800 in value out of that. Not only that, but if you have a Club Carlson credit card, one of the best perks about it is that you get the last night of award stays of 2 or more nights for free – so you can get half-price stays on two-night awards. So for that same two-night award at the Radisson Blu Champs Elysees, you’d only need to spend $1,667 at Carlson to earn 50,000 points (since you earn 30 per dollar with the card), and then you’d redeem 50,000 points for one night and get the second free – a much better return on your spending. Hilton just carried out a major devaluation of its Honors loyalty program with new elements like seasonal pricing and 5th night free awards for elites that require a lot more points for certain redemptions, though the transfer ratios to airlines remained the same. Base earning rate at hotels: Regular Honors members earn 10 Honors base points plus 5 bonus points per dollar spent on the room with Hilton’s Points + Points double dip earning option. For stays at Home2 Suites by Hilton hotels, it is 5 Honors base points plus 2.5 bonus points per spent on your room. If you carry one of the Hilton Honors co-branded credit cards from Citi or Amex, though, you earn even more bonus points per dollar. With Amex, the Hilton Honors Surpass Card from American Express earns 12 Honors points per dollar and the Hilton Honors Card from American Express earns 7 points per dollar. The Citi Hilton HHonors Reserve card earns 10 points per dollar, and the Citi Hilton HHonors Visa Signature Card earns 6 points per dollar. If you’re a Hilton Honors Silver elite, you earn a 15% bonus on base points (so 16.5 points per $1); as a Gold member you earn a 25% bonus on base points (so 17.5 points per $1); and as a Platinum elite you earn a 50% bonus on base points (so 20 points per $1). The Honors program allows you to transfer points to the following airline partners. Transfer ratios: The transfer ratios vary by airline partner. Here’s the breakdown. With most airlines, the ratio is 10 points to 1-1.5 miles. For every 10 Honors points transferred you will get 1.5 miles with: Aeroflot, American Airlines, Frontier Airlines, Gulf Air, Hawaiian Airlines, Mexicana Airlines, Qantas Airways, South African Airways, and Virgin Atlantic Airways. For US Airways, the transfer ratio is 10,000 points for 850 miles. For Aeromexico and LAN, it’s 25,000 points for 6,500 KMS. 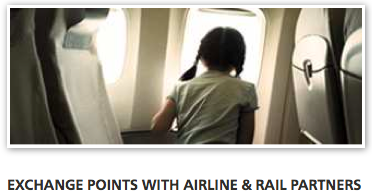 For Air New Zealand, the transfer ratio is 10,000 points to 20 Airpoints. For all other transfer partners, the transfer ratio is 10:1. Spending scenario: Let’s say you spent $5,000 with Hilton at one of their higher-brand hotels and that you have Points + Points selected as your earning option. That would mean you’re earning 15 points per $1, so you’d end up with 75,000 Honors points. Those points would convert to anywhere between 6,375-11,250 airline miles – almost enough for a one-way domestic economy award, but still not getting you very far. However, even with Hilton’s recent devaluation, those 75,000 points would be enough for one night in a top-tier Category 9 or 10 hotel (depending seasonally) or two nights in a Category 4-7 hotel, depending seasonally. Or let’s say you were going to Italy over Labor Day and thinking about Sicily. Hilton’s Excelsior hotel in Palermo is a Category 5 property whose rates fluctuate from 30,000-40,000 seasonally, and over the month break from August to September is one of those fluctuations. So if you booked that weekend from August 31-September 2, you could get two nights for a total of 70,000 points. Those same nights would cost you 150 EUR each, or a total of nearly $400. There are plenty of ways to get great values from Hilton’s points program, but converting points to miles isn’t one of them. I think Hyatt points are one of the most valuable hotel currencies out there because you only need 22,000 points to stay at top-tier properties like my favorite, the Park Hyatt Paris Vendome, and the Park Hyatt Sydney, where I plan to stay later this year. Base earning rate at hotels: Gold Passport members earn 5 Hyatt points for every dollar spent at a Hyatt hotel room, spa or restaurant. Platinum members can earn a 15% point bonus and Diamond members a 30% bonus. If you carry the Hyatt credit card, you earn an additional 3 points per $1 bringing your potential total to 8 points per dollar. Most Hyatt airline transfers are at a rate of 2.5:1. Spending scenario: A general Gold Passport points member would earn 5 points per $1, so if they spent $5,000 at Hyatt hotels, they’d end up with 25,000 points. If you had the Hyatt card, that would be 40,000 points because you earn an additional 3 points per dollar. 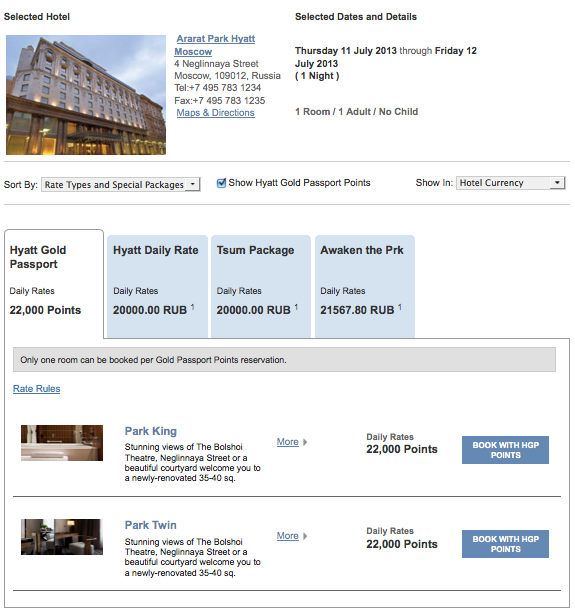 25,000 points is 3,000 more than you need for an award night at a top-tier Category 6 hotel such as the Ararat Hyatt Park Moscow where room rates in July are going for 20,000 RUB ($600) per night in July. That’s a value of about 2.7 cents per point. Those same 25,000 points, however, would only get you 10,000 airline miles with most of Hyatt’s partners – or anywhere from 6,000-8,000 miles with the seven exceptions. 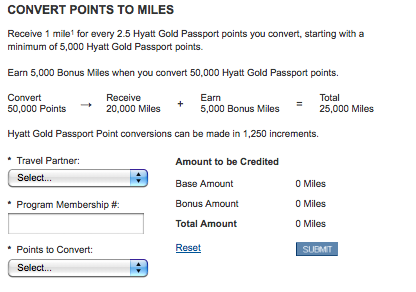 Let’s say you accrued enough points to convert into 25,000 miles for a roundtrip domestic economy award ticket – that would take 50,000 points with Hyatt’s transfer bonus. In order for those points to have the same value in terms of miles as that hotel redemption, the ticket you redeemed for would have to cost over $1,350. Clearly there are better ways to spend your points than on airline miles in this instance. Marriott has over 3,500 properties all over the world, and you can use your points at Ritz-Carlton as well, so a points-to-miles conversion shouldn’t be part of your strategy unless you have an Air + Hotel redemption in mind, which I’ll discuss below. Like other hotel chains, Marriott allows you to convert your points to miles with several airline partners. Base earning rate of points: Marriott Rewards members earn 10 points per dollar spent at most Marriott properties. If you have the Marriott Rewards credit card, you earn 3 more points per $1 at Marriott properties; and if you have the Marriott Rewards Premier Visa, you earn a bonus 5 points per $1 at Marriott properties. Marriott Rewards Silver members earn a 20% bonus on base points (so 12 points per $1); Marriott Gold members earn a 25% bonus on base points (so 12.5 points per $1); and Marriott Platinum elites earn a 50% bonus on base points. Transfer ratios: This varies by airline and is rather complicated – in fact, this program is the most convoluted of all of them – but here’s a simple breakdown. Spending scenario: With Marriott, if you were to spend $5,000, you’d end up with 50,000 points. Those could be transferred to its various partners at the rates mentioned above, but for a quick comparison, that would be 15,000 American/BA/Delta/Southwest/United/US Airways miles; 10,500 miles with Air France/Cathay/ANA/LAN etc. ; or 5,000 points with JetBlue or Virgin. A far better way to convert hotel points to airline miles that yields a 1:1 conversion ratio in many instances is taking advantage of Marriott’s Air + Hotel Package redemption option, which allows you to redeem Marriott Points in exchange for a 7-night stay and a specified amount of airline miles transferred to your frequent flyer account, as well as a 25% Hertz rental discount. Conversion ratios with Air + Hotel packages vary by airline the same way straight-up point to mile conversions do, but to take an example below, they include miles transferred to most of the legacy airlines including American, Delta, United, Alaska Airlines, and US Airways. 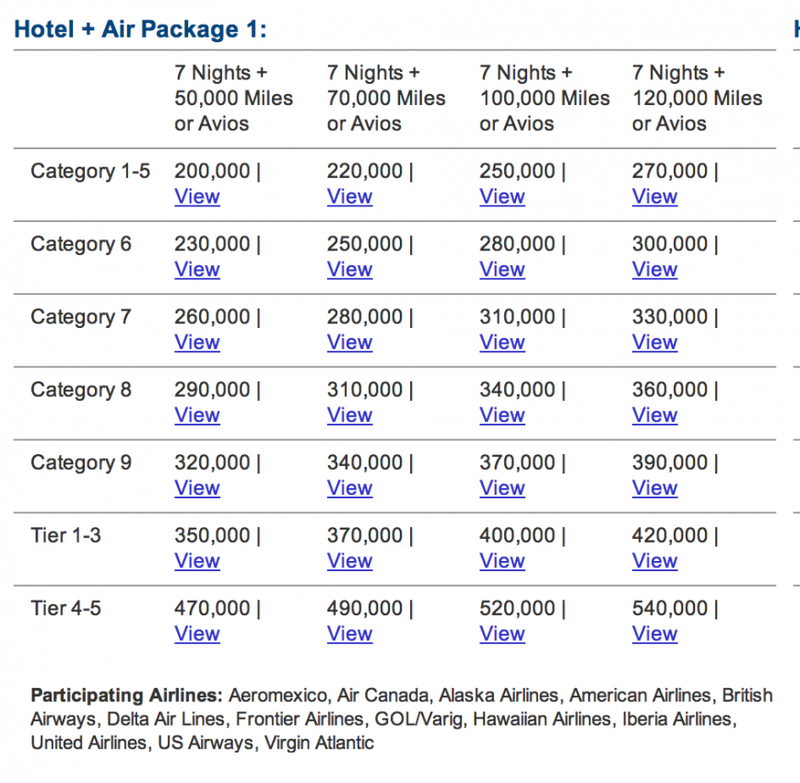 Marriott’s Hotel + Air Package Rates. Marriott’s JW Marriott Camelback Inn. 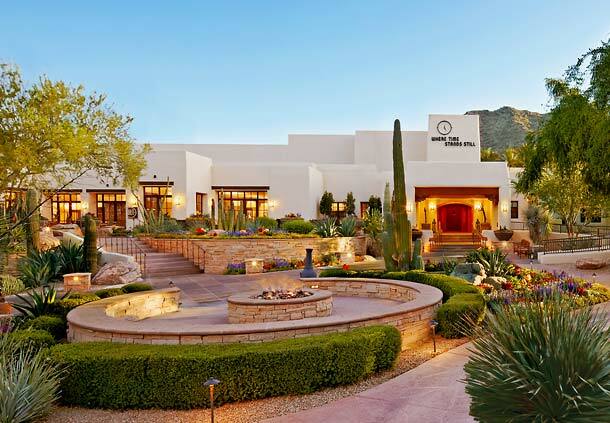 For example, the JW Marriott Camelback Inn in Scottsdale is a category 7 requiring 35,000 Marriott points a night. Normally it would be 210,000 points for a 7-night stay (since you can redeem 4 nights and get the 5th night free so you’d only be redeeming points for 6 nights). With these packages, however, you redeem 260,000 points and the extra 50,000 Marriott points gets you 50,000 airline miles—enough for two roundtrip domestic coach saver awards tickets with many frequent flyer programs – and giving you a 1:1 ratio on those points you have converted to miles. To look at it another way, 260,000 Marriott points converted to the main US legacy carriers would get you just 90,000 airline miles. So by spending the same amount of point with an Air + Hotel package, you’ll end up with 40,000 fewer miles, but a seven-night hotel stay. Air + Hotel packages aren’t the highest-value redemptions you can use points for, but they do give you a solid return on your spending and get you the miles you need at a far better rate. Base earning rates: Regular IHG Rewards Club members earn 10 points per $1, while Gold elites earn a 10% bonus and Platinum elites earn a 50% bonus on points. If you carry the Priority Club Visa, you earn another 5 bonus points per $1 you spent at IHG hotels using the card. IHG Gold members earn a 10% points bonus on hotel spending, and Platinum elites earn a 50% bonus on hotel spending. You can transfer your points to American, British Airways and Delta among others. Transfer ratios: In all cases except those specified above, the transfer ratio is 10,000 points to 2,000 miles, or 5:1. 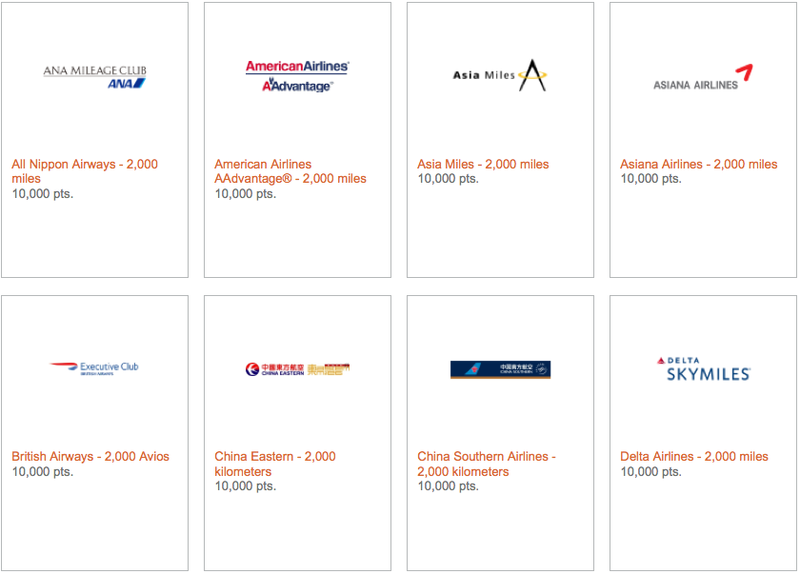 Spending scenario: Just as a base-level Priority Club/IHG member, you earn 10 points per $1, so if you were to spend $5,000, you’d end up with 50,000 points – enough to convert to just 10,000 airline miles with most partners, and even less with some like Malaysia Airlines. 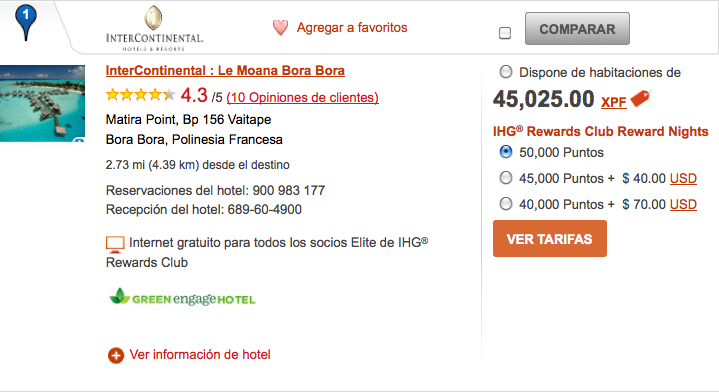 But for those same 50,000 points, you could get an award night at a top-tier Category 9 hotel like the Intercontinental Le Moana Bora Bora, like this night in September that’s going for about 45,000 Tahitian francs, or $485 USD. Not only that, but those same 50,000 points are enough for 10 deeply discounted PointBreaks awards, which only cost 5,000 points a night. Granted, PointBreaks tend to be at random, far-flung properties that change every 2 months with just a few Intercontinentals and Crowne Plazas thrown in, but the current list has some interesting options including the Intercontinental Phnom Penh in Cambodia where I stayed last year using PointBreaks in a room that would have cost me $180 otherwise. 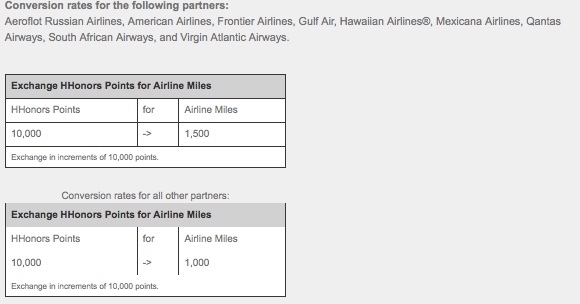 By that reckoning, my 50,000 points would be worth $1,800 – I’d take that over 10,000 airline miles any day! This is probably everyone’s favorite program for converting points into miles since you get a 1:1 ratio with most partners, but let’s look at how much value you really get. Base earning: Regular SPG members earn 2 Starpoints per $1 at Starwood properties including restaurant, room service charges and in-room movies. Elites earn 1-2 more points per $1 depending on their status level. If you have the Starwood Preferred Guest® Credit Card from American Express, you earn an additional 2 points per $1. On most partner airlines, for every 1 Starpoint transferred you will get 1 mile. For every 20,000 Starpoints transferred within the same transaction, Starwood will automatically add another 5,000 Starpoints. Up to 94,999 Starpoints can be transferred into your frequent flyer account at one time with most airlines. For LAN, the transfer ratio is 1:1.5. For United, the transfer ratio is 2:1, and for Air New Zealand the transfer ratio is 65:1. 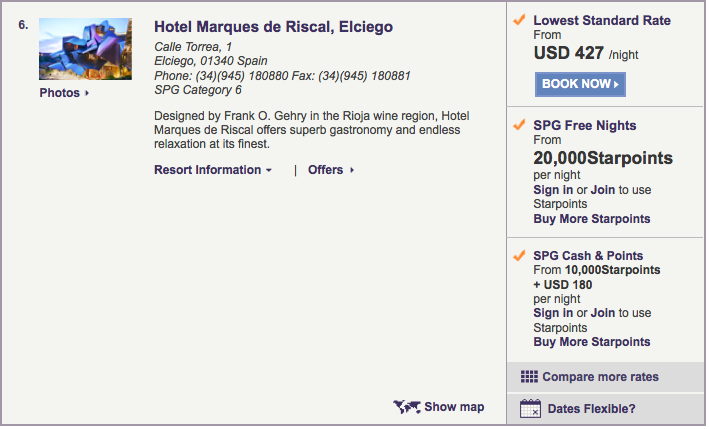 Spending scenario: When you spend $5,000 at Starwood, you end up with 10,000 points just as a base-level earner. There’s no mathematical magic here since you don’t qualify for any bonuses and will end up with 10,000 miles with most partners. Despite Starwood having recently raised both the points and cash co-pays of Cash & Points awards, these still tend to be the most valuable redemptions in terms of value per point. Now, if you had 10,000 Starpoints sitting around, that’s enough for a Category 6 Cash & Points redemption, which costs 10,000 points + $180. I’ve been wanting to visit the Hotel de Marques de Riscal, a Luxury Collection Starwood property in Spain’s Rioja wine region that was designed by Frank Gehry, which is a Category 6 hotel. Room rates there are usually well over $400 – as you can see below. But since Cash & Points is available, I’d end up spending $180 and getting a value of about 2.5 cents each for those points I use. To get a similar value from points I converted to airline miles, let’s say I converted 20,000 points to 25,000 miles thanks to Starwood’s bonus. At 2.5 cents per point, that ticket would have to be worth $500 for its value to break even with the Cash & Points redemption here. Granted, I picked scenarios where you are sure to get more bang for your buck from your points than with converting them to airline miles – but the simple fact is, hotel points are more valuable as hotel points than they are being converted. It’s sort of like exchanging currency in another country, you know you’re not getting the best rate and you’re paying some sort of commission on top of it that cuts the value of your dollar even more, so why even bother? That said, if you do have orphan points that you know you’re not going to use, then you can consider converting them to airline miles and topping up your frequent flyer account for a redemption that way. After all, the best value you can get from your points isn’t necessarily how many cents per point you can squeeze out, but that you are able to use them to travel where you want to go.